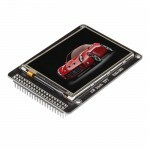 Arduino 2.4" TFT LCD Touch shield is an Arduino UNO/ Mega compatible multicolored TFT display with touch-screen and SD card socket. It is available in an Arduino shield compatible pinout for attachment. 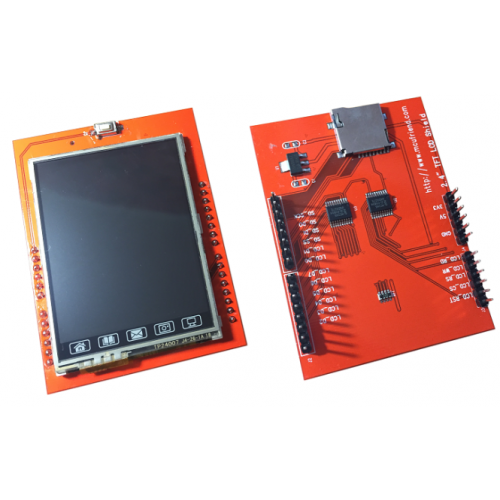 The TFT driver is based on ILI9325D with 8bit data and 4bit control interface. Nokia 5110 84x84 LCD Display PCB ModuleThe Nokia 5110 LCD Module uses a Philips PCD8544 LCD driver, ..
ILI9341 2.8" TFT LCD Touch Screen Module Display2.8" TFT LCD Display is a LCD touch screen module. I..